Is There Ever a Good Time to Use Emojis in Professional Work Emails? These cute images add extra flair and new meaning to our messages. But when it comes to your professional email, it’s probably best to hit send without adding a winky-face emoji. While adding a smiley face might make you feel warmer and more optimistic, it may cause your colleague to view you as incompetent or superficial. A recent study concluded such. But still, up to 70 percent of Americans use emojis such as happy face, winking face and thumbs up in their professional communications. 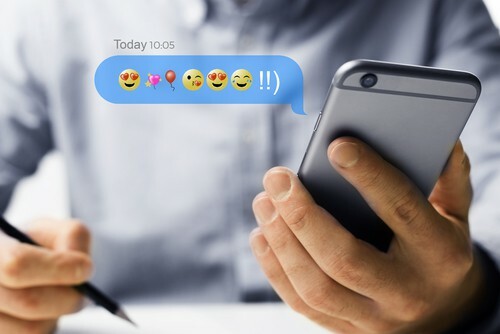 According to the study and CNBC, there may be a few good times to use emojis in a professional environment. When you and your colleagues are racing to meet a deadline or going through a stressful situation, adding a smiley face to an email may be able to boost morale. When engaging in quick, back-and-forth conversations, it’s OK to add an emoji. For example, “Where are we going to lunch? :-)” is appropriate. If a new hire enters the office, they will have to learn the traditions of the workplace. By sending a welcome email with a smiley face, it will help them to see you as someone who is approachable, which can be relieving on the first day.